First off, wanted to say how fun and exciting it's been to switch more to lifestyle this year and how awesome it is that you guys are so receptive to it! 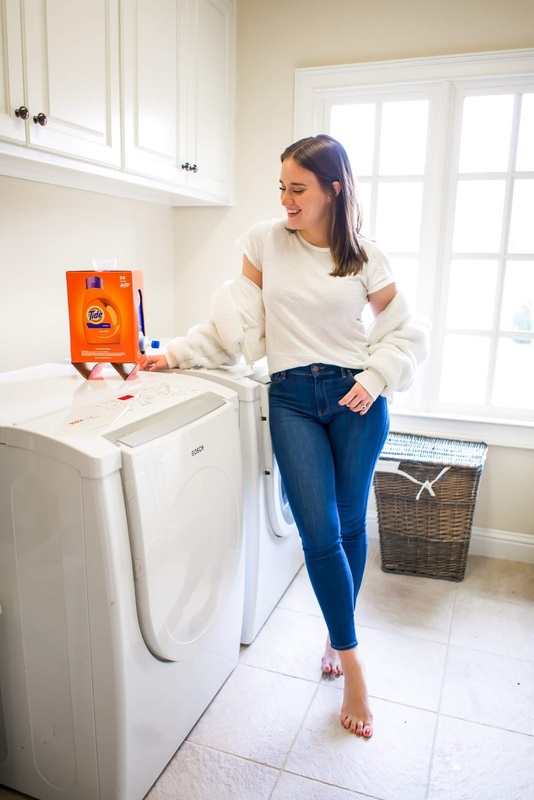 I wanted to share a fun collaboration I'm doing with Tide Eco-Box and Walmart.com today and how it fits into our Sunday routine -- which is a little something I've never really talked about before. Hope you enjoy! If there is anything I am really good at, it's taking Sundays off. I've always been this way -- working or not, Sunday is our day to just recharge and take some time to ourselves. I'd like to say the entire weekend is that way but we shoot normally for the blog on Saturday so that's a full day process. But come Sundays we clean the apartment, have family dinner in Westchester and always (always) do our laundry. Sunday is just like the best day for doing laundry, you know? 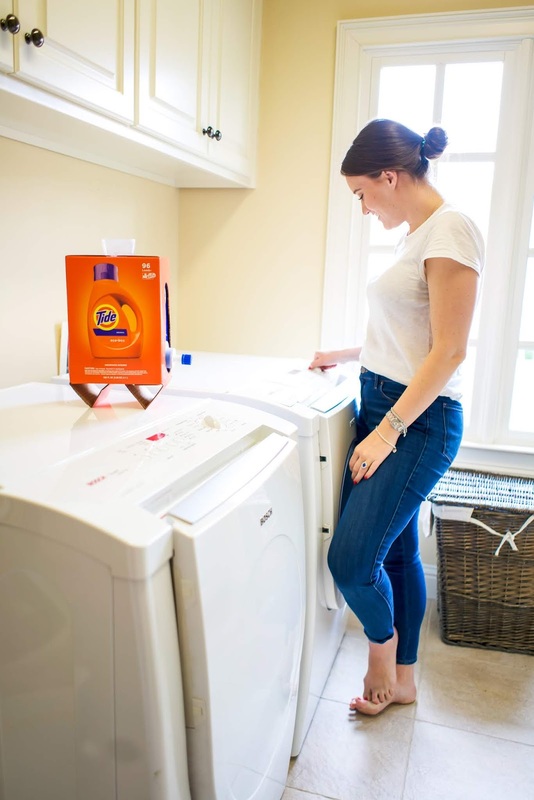 And I've been using Tide for as long as I can remember, but when living in the city with such minimal space you need to find out what works and what doesn't. And the really large oversized detergent packages that my mom had been buying and using for years didn't really cut it in our 800sq ft apartment. Plus, as an avid online shopper I wasn't trying to buy a bulky package that I didn't have room for. 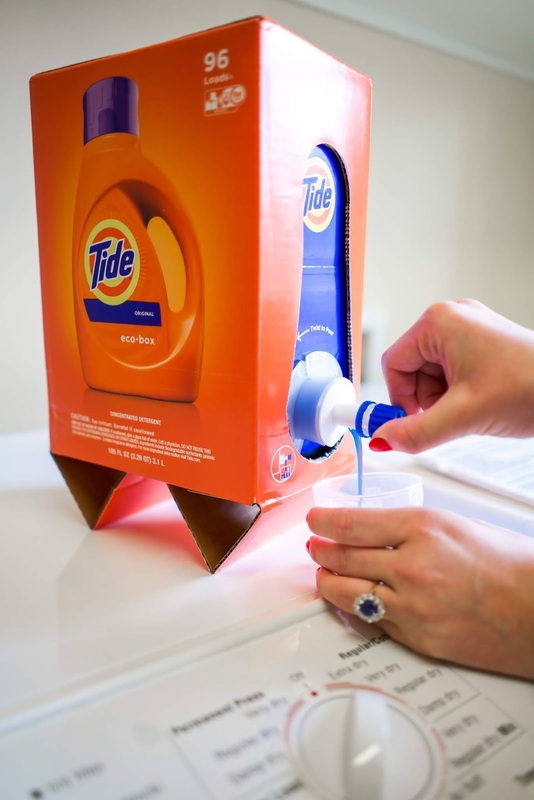 So, when Tide reached out to see if I wanted to help share their new Tide Eco-Box, I was so on board. I mean who isn't trying to find more ways to be eco-friendly in 2019? I'm always doing what I can to recycle, cut out emissions by biking more, reduce packaging and compost what we can when we're in Westchester. I think if we all just start taking little steps to cutting down our carbon footprint, it would all go a long way! And if you're like me, you're all for it as long as it isn't a deterrent in your life. I know drastic changes can be hard but little by little is a way I've found is helpful for me and a change that will have a longer lasting effect on what I do! Tell me about the box already! Ok ok, so here are some top level facts you need to know before we dive into it all: the Tide Eco-Box is available exclusively on-line in Tide Original scent, and you can find it at Walmart.com - which is super ideal for people (like myself) who do all of their shopping online! 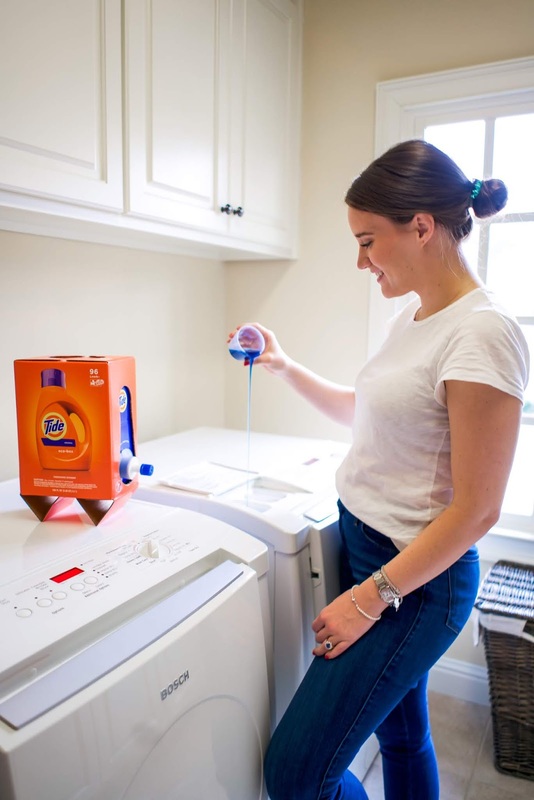 The box design also doesn't require any wasteful secondary re-boxing or bubble wrap when shipping (which helps to reduce the environmental impact of shipping laundry detergent). It's also much lighter and the package contains 60% less plastic while the detergent contains 30% less water than the current 150oz Tide press tap bottle, which is what my mom currently uses. 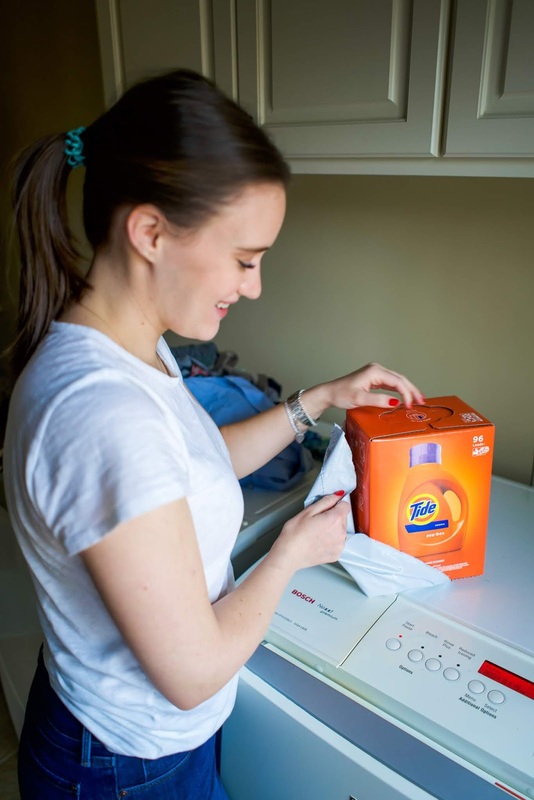 So, if you're reading this mom, try out the new Tide Eco-Box! 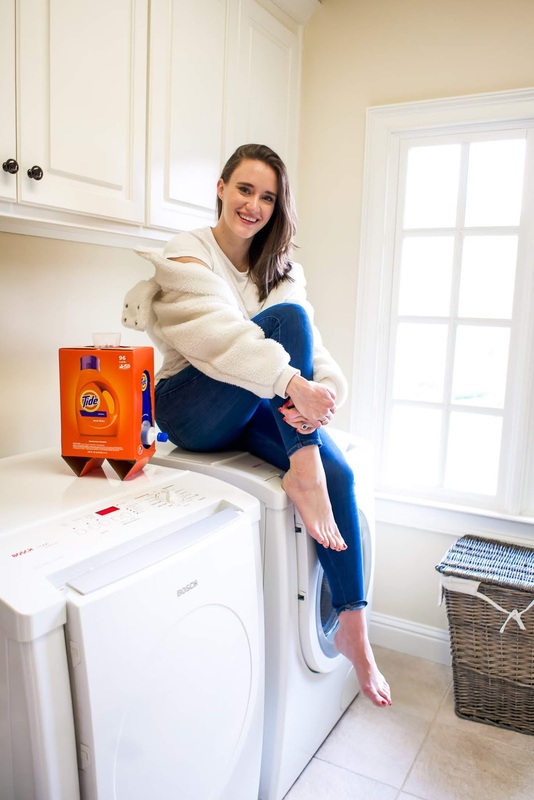 Like with all products, I wanted to try it out before writing about it and we did 3 loads of laundry (whites, darks and towels) that day and it was all super easy to use. You can watch my review/unboxing of it here but the lowdown is that it comes packed up in a little box and you pull a couple tabs and it turns into a pour tap box with its own stand! I mean it could not be easier. 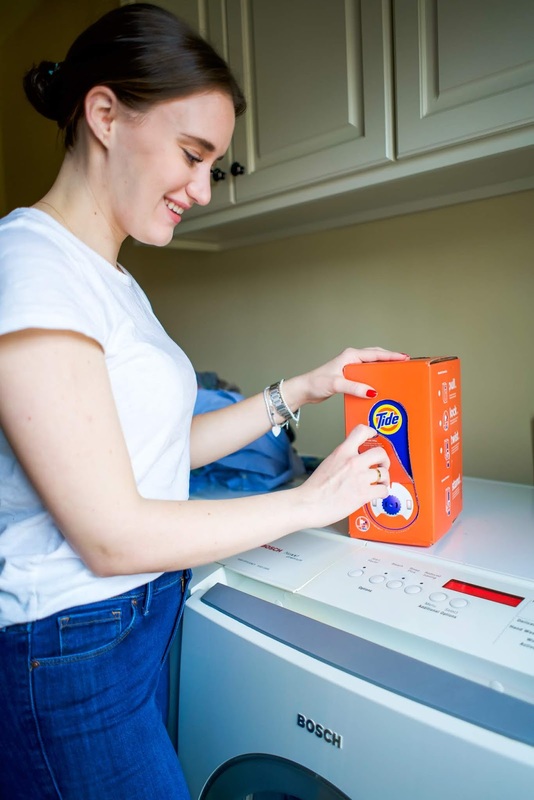 So, when you're in the market to rebuy your detergent, make sure to check out the Tide Eco-Box (available only online at Walmart.com) -- and if you try it out, let me know how you like it below! This blog post is sponsored by Tide and Walmart.com. The content and opinions expressed here are that of myself. Love how you're looking chic AF while doing laundry!! Get it girl! I'll have to look into this for my next detergent! I also spend weekends in Westchester and it's honestly just SO nice! I wish more brands would do this!! I'll have to look for this at the store.